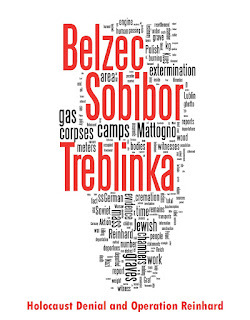 Never trust a denier when he produces a couple of testimonies as 'proof' that a particular camp could not have been an extermination camp. Below I show how 'Klueless' Kues does this with the Sobibor revolt, and how this leads him to commit blatant double standards in his treatment of evidence. Kues claims here that the existence of two testimonies indicating that "several escaped prisoners voluntarily returned to the camp" is "something which seems almost incredible if Sobibór indeed was the death camp it is made out to be..." Let us examine the two testimonies on which Kues bases this claim. I was also glad that when I arrived in Sobibór there were no Jews. Now I must amend this statement in that there were a few Jews in the camp, perhaps about twenty, who had voluntarily returned after the uprising, or had been in hiding. In this connection I remember clearly that two Jews, a married couple from Holland were found in Camp l hidden under the floor. By way of explanation I have to say that the barracks in Sobibor were constructed on top of meter high piles to avoid the danger of flooding. The Dutch couple had loosened the floorboards and during the day hid in the space below, they were discovered because at night the barrack was used for the preparation of food. These two Jews like all the other Sobibor Jews were killed with the Treblinka Jews to which matter I will revert in detail. Suchomel then describes how the returned Jews were used for forced labour until the camp was dismantled, at which point they were killed. Kues simply ignores this context. During the night and even before, in the evening, a few of the escaped Jews returned to the camp voluntarily. I actually saw four or five prisoners return. They reported to the camp watch by the entrance gate and were taken in by the Hilfswilligen [Ukrainian auxiliaries] who were stationed there. I cannot recall them being ill-treated. The Hilfswilligen took them to the barracks where the other prisoners were. I have no idea what happened to them later. I could not say whether they were shot in the end. (ZStL-251/59-5-833; quoted in Jules Schelvis, Sobibor. A History of a Nazi Death Camp, Berg/USHMM Oxford/New York 2007, p.176). Of the 300 Jews who had escaped, around 100 could be exterminated in collaboration with the Wehrmacht and the border patrols. Kues also ignores the Benda report and the Security Zone Bug (Dragnet Daily Report) on the revolt, even though both are discussed on-line here by Blatt, whose website is often quote-mined by Kues (as Dahl) at the Cesspit, such as here. Kues also ignores Schelvis's obvious point that Wullbrandt's testimony shifted responsibility for killings of escaped Jews in the forests on to the Hiwis. Even this obvious blame-shifting, however, produced an admission that converged with the truth: Wullbrandt stated that the bodies of Jews killed in the forest were brought into the camp and "placed on the rails". What were these rails and what does their presence in Wullbrandt's account tell us about on-going cremation activity at Sobibor? Kues does not tell us; he simply omits that part of Wullbrandt's testimony from his quote-mine. Most importantly, Kues perpetrates two blatant double standards with this methodology. Firstly, Kues uses West German perpetrator testimonies as positive evidence despite repeatedly accusing the West German system of being a series of 'kangaroo courts' in Cesspit threads such as this one. Secondly, Kues gives perpetrator testimony greater evidential weight than wartime German documents, whereas in this other article, Kues argues that it would be foolhardy "to believe Bauer’s testimony rather than the documentary evidence of the Höfle telegram." In regard to the alleged Suchomel testimony - how do we even know that it is authentic? This is a page made by Chris Webb - the same Webb who introduced to the ARC several fake testimonies allegedly from the German proceedings. No source is given. I have checked this by doing a comparison with Schelvis. Webb has merged two testimonies given by Suchomel in Altötting. Webb has not clearly distinguished which passages belong to which testimony, and it is not likely that he quoted the sentences in the order they appear in the original source. However, the sentences cited by Kues are in Schelvis, p.189, but Kues is so sloppy that he misses that citation and relies on Webb's bastardized version. I deleted "On Kues' use of unreliable sources" since now it is superfluous, as you have pointed out HEART's unreliability in your posting above. 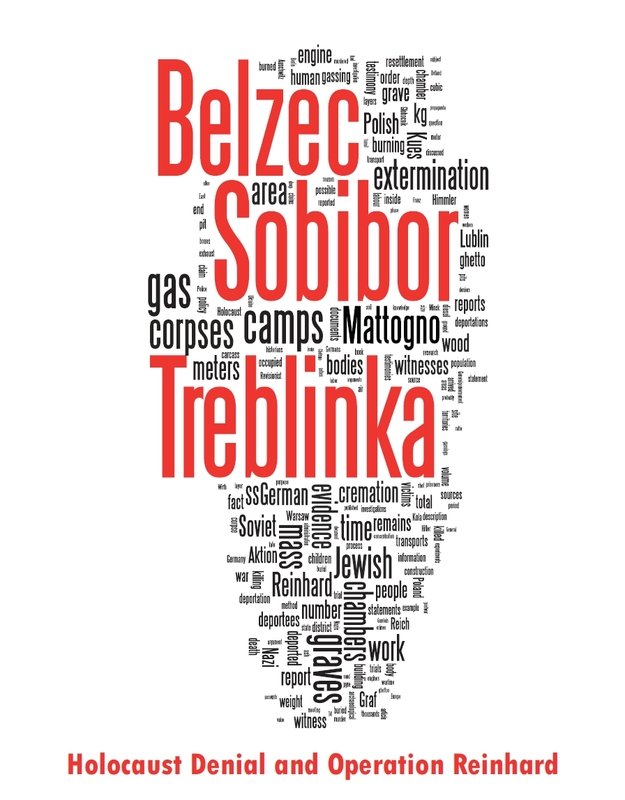 As for Sobibor, in RGVA there is a whole thick file with police messages from that area which is peppered with specifically messages regarding the Sobibor escapees (how many murdered, etc.). I did not copy them all, but I have some, with references, if anybody is interested. I don't know whether they've been used by anyone.